Michael Dillon, Finance & Commercial Director, CAE Middle East & Asia Pacific, has more than 30 years of progressively responsible experience directing the regional Finances and enabling services of many of the world’s blue chip corporations with revenues in excess of $500 million. Michael has led these companies through start-up, survival, turnaround and growth modes. Michael has spent 25 years as a finance and business facilitator assisting management teams drive growth and deliver shareholder value in a variety of industries, including technology, consumer durables, heavy equipment, airline and financial services. His understanding of both domestic and international distribution channels encompasses retail sales, wholesale, OEM, catalogue sales, direct sales, leasing and government markets. Among his significant previous positions, Michael served in senior Finance and Operations roles at Microsoft Corporation, Citrix Systems, Church & Dwight, Foster’s Brewing, Qantas and Commonwealth Bank of Australia. An Australian citizen, Michael holds a Bachelor of Business degree and a Master of Business Administration (MBA). 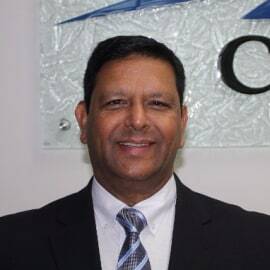 He is an active Fellow of the Australian Institute of Company Directors (FAICD), Fellow of CPA Australia (FCPA) and a member of Rotary International.